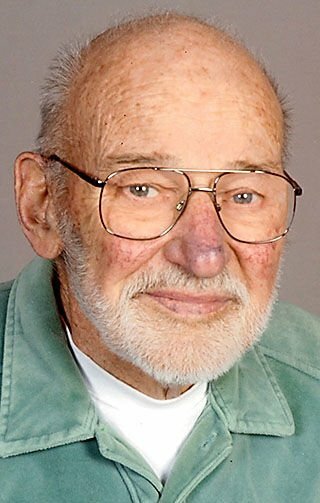 Rueben A. Zettler, 89, of Eau Claire, died Sunday, April 7, 2019 at Mayo Clinic Health System-Eau Claire. Rueben was born in Stratford, WI, on June 4, 1929, a son of Alvin R. and Hildegard E. (Oestreich) Zettler. He grew up and lived in the St. Paul area until moving to Wisconsin in 1960. Rueben served in the U.S. Army from January 1951 until his honorable discharge in October 1952. He served in Korea as a Combat Medic with the 24th Division. He was awarded the Combat Medical Badge for providing medical support during ground combat. After returning home from service, he worked for Northern States Power Company for 36 ½ years. As a father, Rueben provided great love and strong examples of character, christian morals and values to his children. He was a very involved father, whether playing whiffle ball in the yard, coaching, playing and then umpiring in the church softball league or helping to build projects for school, his children always knew they could count on him. As an adult he enjoyed sharing his interest and quest for knowledge about the history of WWI, WWII and the Korean War. Rueben married Judith DeMars on December 1, 1979 in Stillwater, MN. They bought a small place on McCann Lake in New Auburn, WI. After Rueben’s retirement they moved to the lake, where they stayed until returning to Eau Claire, WI in 2002. At the lake they had the freedom to pursue their passions: their love of nature, gardening and the animal kingdom. Rueben enjoyed using his skills, unique ways and ingenious solutions in making their place home. What started as a small weekend cabin grew into a beautiful permanent home as they continually expanded and updated while keeping the original rustic appeal...EAGLEREST, as it became known, brought great joy to them both. Rueben was a member of Menomonie Lodge #164 F & AM, Scottish Rite Valley of Eau Claire, and Truax Congregational United Church of Christ. Rueben is survived by his son, Gary (Dale) Zettler of West Allis, WI; two daughters, Janet Bryant of Eau Claire and Patricia Croston of Howard Lake, MN; daughter-in-law, Paula Zettler of Eau Claire WI; four grandchildren, Andrew, Sydney, Amelia, and Zachary Zettler; sister, Beatrice (Howard) Schuette; as well as aunts, uncles, nieces, nephews, cousins, friends. He was preceded in death by his wife and best friend, Judith; parents; son, John Zettler; four infant grandchildren, Kevin, Katie, James, and Berkley Croston. Memorial Services will be held at 1 p.m. on Saturday, April 27, 2019 at Truax Congregational United Church of Christ, 1008 S. 50th St. in Eau Claire with Pastor David Stratton officiating. Visitation will be held one hour prior to the service at the church. Military Honors will be conducted by American Legion Post 53 at the church. Burial will be held at a later time, at Forest Hill Cemetery in Eau Claire. Rueben requested memorials be directed to the donor’s choice.